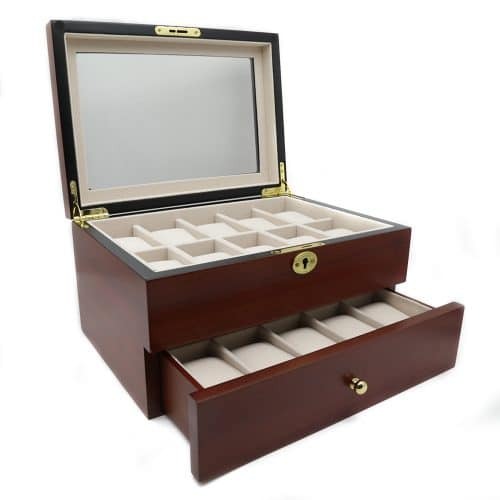 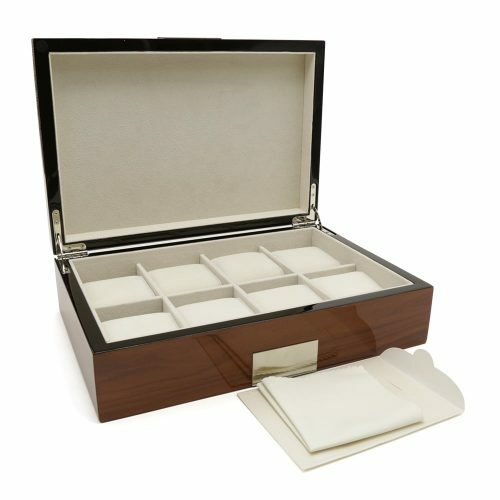 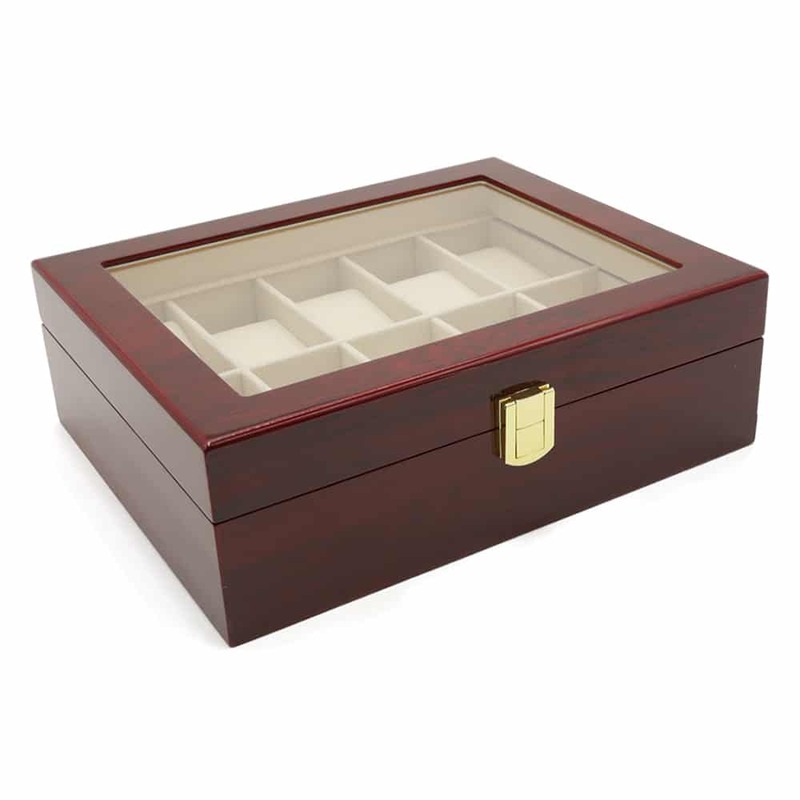 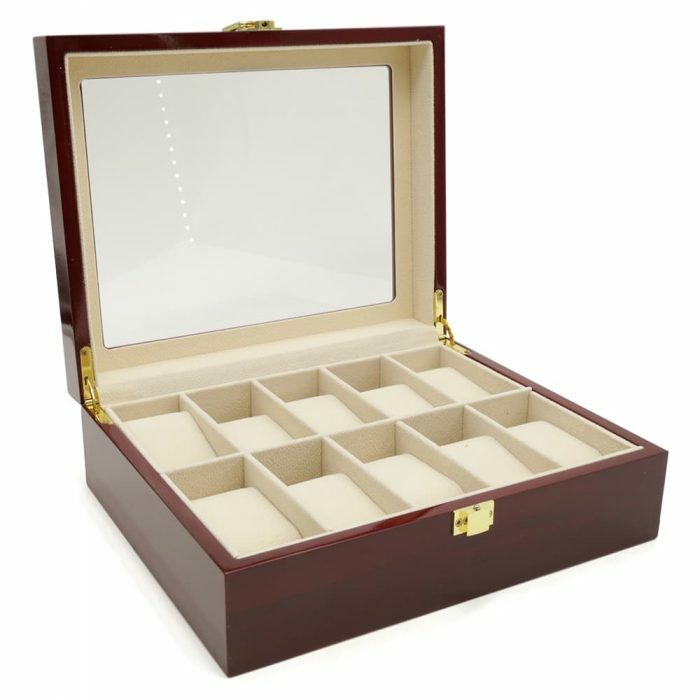 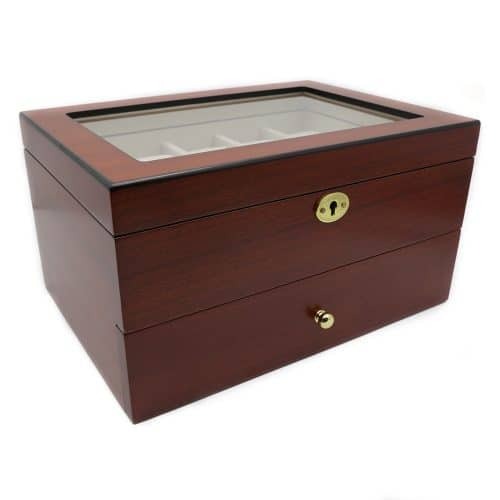 Show off your collection of fine watches with this Maple Mahogany 10 Slot Watch Box. 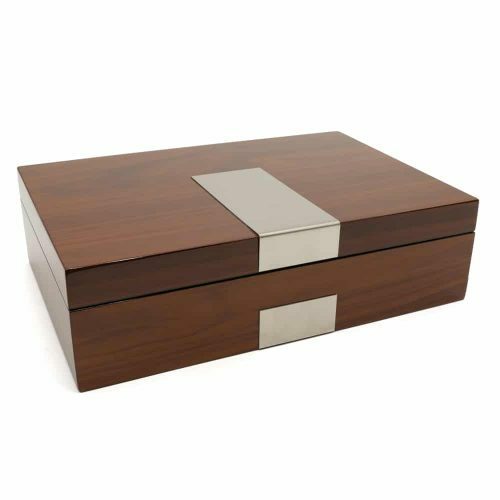 This elegant wooden watch box comes in a beautiful maple mahogany with golden features. 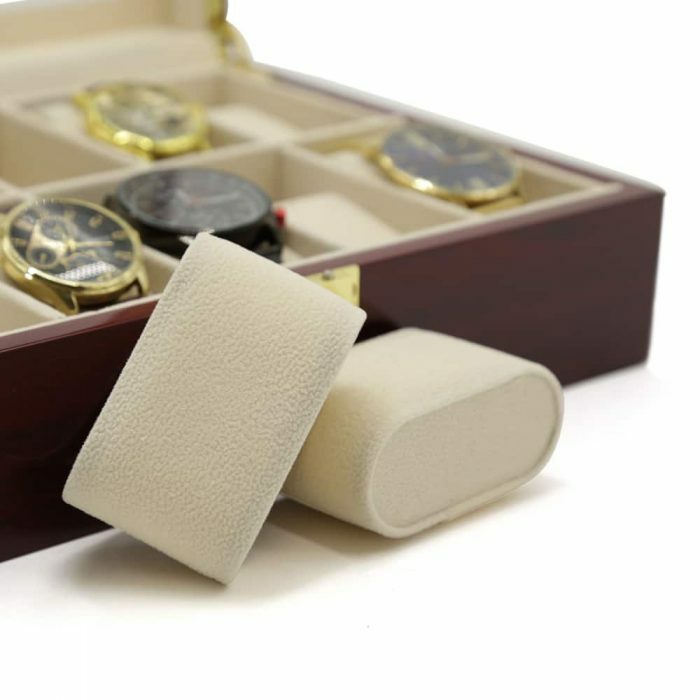 The interior is fitted with a high-quality cream velvet interior to keep your watches scratch-free. 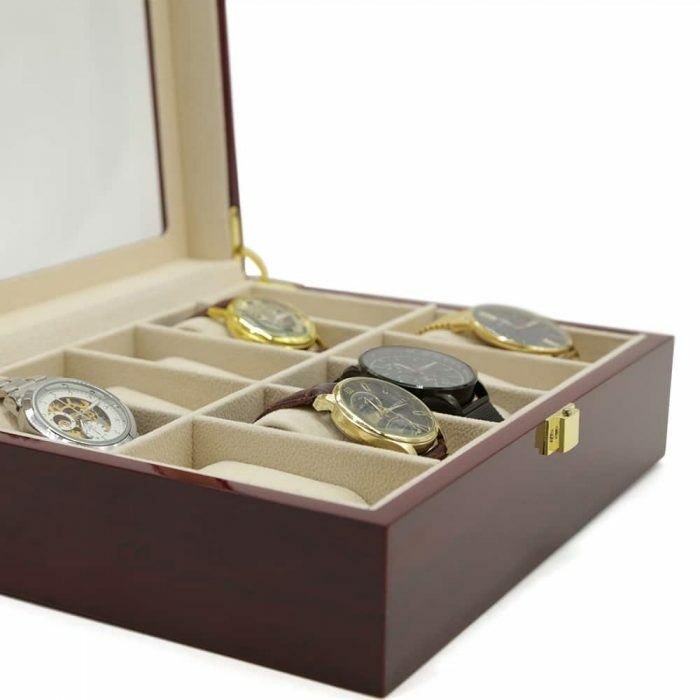 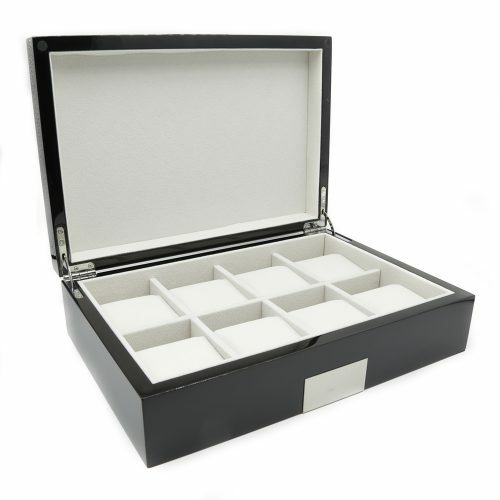 The lid has a large transparent panel making it ideal for displaying your watches. 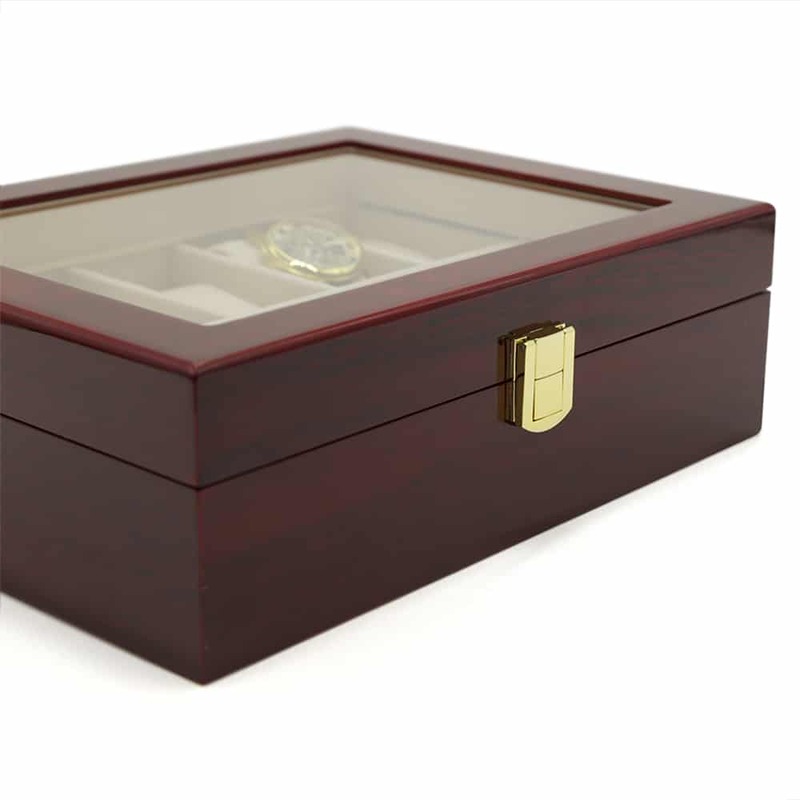 It also comes with a golden latch on the front to keep your valuables safe.